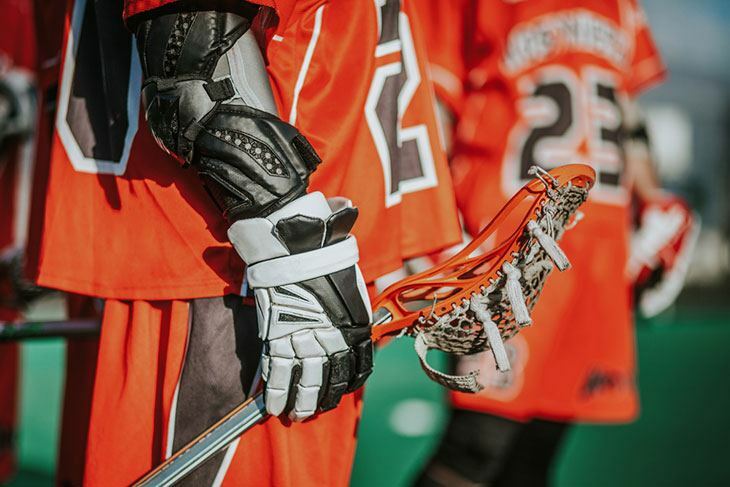 Best Lacrosse Elbow Pads of 2019: Do NOT Buy Before Reading This! The Best Lacrosse Elbow Pad Is? The primary function of the defense is to protect the goal together with the goalie. Positionally, its best to stay between an opposing attacker and the goal to prevent a clean strike. 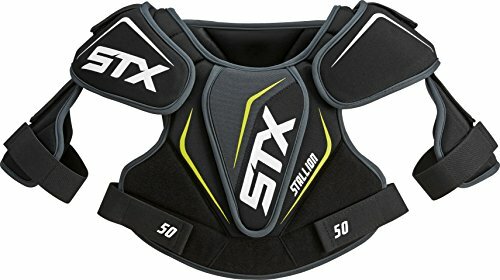 A defenseman takes a lot of beating from the opposing team and should, therefore, be protected by the best lacrosse elbow pads. 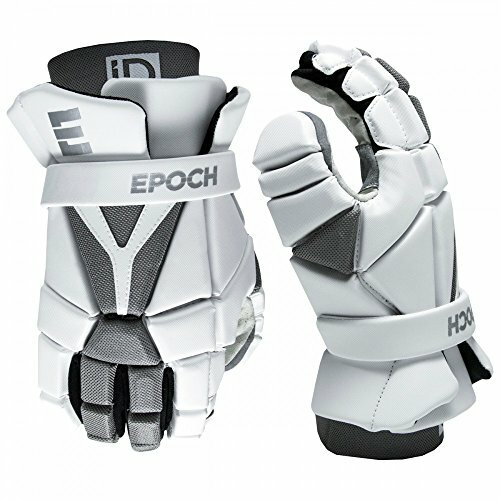 This is a new era of innovative advancement in lacrosse equipment technology; and with this, Epoch have disrupted the lacrosse market with a revolutionary Integra Protective line of protective gears – elbow pads, arm guards, and gloves. 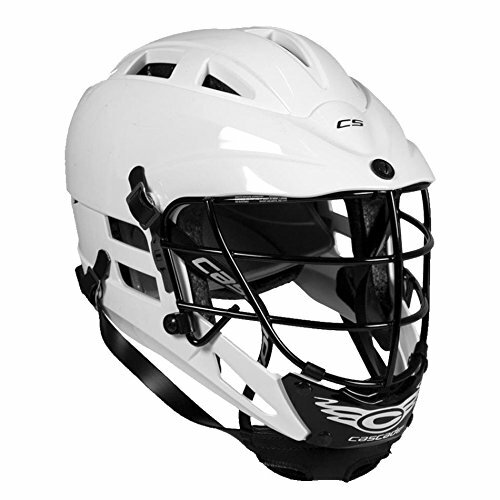 The Epoch Lacrosse Integra Elbow Caps Defensemen comes with a phase change technology which is similar to the textile lining used in the design of space suits of astronauts. The technology helps to store and dissipate heat for optimal moisture and thermal comfort control for regulation of body temperature. 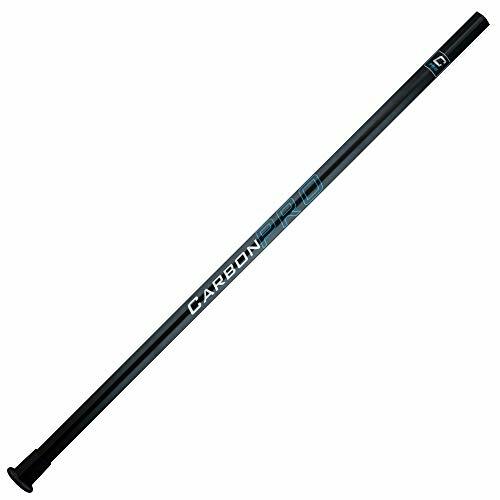 It comes in a non-rigid stabilized carbon fiber – an extremely flexible and lightweight fiber designed for optimum impact absorption which is also scratch resistant. So, no matter how intense the beating and checking, with the Epoch elbow pad, you are protected. Also, you will find a revolutionary sandwich locking mechanism that helps keep the elbow pad in place. It is designed to eliminate slippage, with a customized fit for added protection. This lock system does not in any way impede your mobility and maneuverability. You can protect your goal with confidence. This is another top quality arm pad from Epoch. It is suitable for attackers, middies, and defensemen. 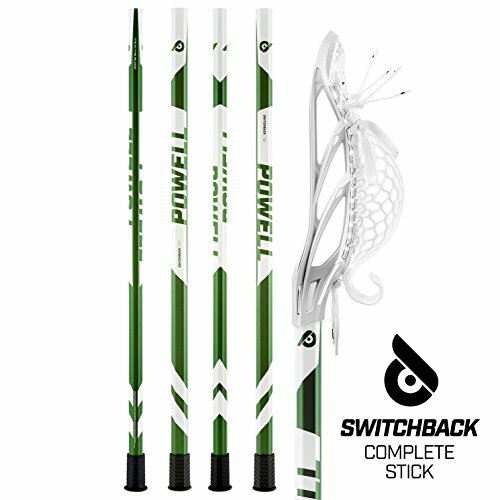 It is developed with the emerging lacrosse player in mind. Fitted with some of the revolutionary features and technology. The id arm pad provides comfort and safety for high-level performance during lacrosse. 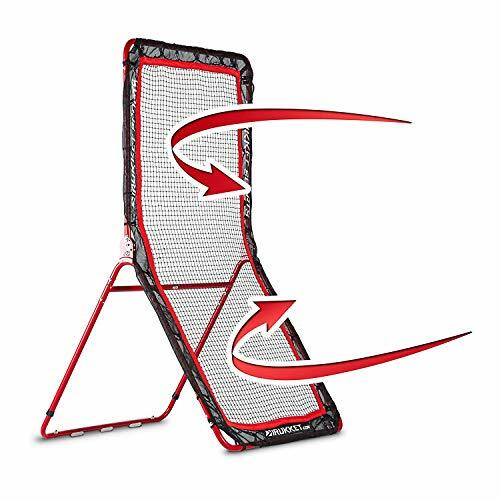 If you need a high performing arm pad for a beginner defense player, this is the only choice for you. The id lacrosse arm pads utilize a two-step high density, lightweight EVA foam – making it one of the lightest and comfortable arm protective gear on the market. It offers optimal protection in a sleek design. Additionally, a 4-way stretch spandex sleeves ensure your maneuverability and mobility is not impeded in any way. As you jump into action, you are confident of maximum flexibility as you wriggle out of beatings or start an attack from a defensive position. The pad comes in a dual density foam, therefore, needing a little amount of stitching – which from a design point of view allows the arm pad to have a definite look, giving it a sleek and precise look. The Maverik Rome series is a line of successful, high-quality lacrosse protective gear over the years. And the Maverik Lacrosse Men's Rome RX3 Elbow Pad is no exception. In addition to being affordable, durable and offers optimum protection. It comes with a molded poly elbow cap for increased protection, which is attached directly to the sleeve making it lightweight. The beauty of the Maverik Lacrosse Men's Rome RX3 Elbow Pad is that there are not many elbow pads out there that suit multi-preference. If you are looking for speed in an elbow pad, it is an excellent choice, if you want comfort, it stands out. It is one of the best lacrosse elbow pads for defensemen. Additionally, it has a simple body temperature regulation system. Its 37.5 sleeve keeps your arm cool, allowing for faster evaporation of sweat and moisture. You will also find a free flex seam construction on this pad which optimizes sleeve comfort and custom fit. If you anticipate a lot of beating in the next match, this pad will keep you safe and comfortable. It stretches very well when dodging, dribbling and cradling. The G-Form Pro X2 Elbow Pad is made with G-Form’s proprietary Reactive Protection Technology (RPT). It is a soft, pliable foam which hardens on impact absorbing up to 90% of impact force. The days of bulky elbow pads are over, this is a revolutionary sleek, lightweight pad which fits your elbow comfortably under any sporting gear or wears. 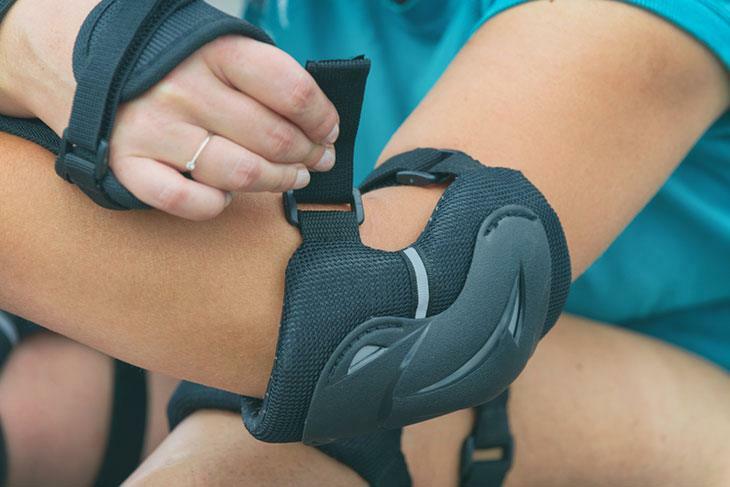 You will find this G-Form elbow pad flexible and comfortable, as it comes mounted with compression fabric, that is moisture wicking and breathable. You can play in hot climates with this pad without negatively impacting performance. Also, its ergonomic design allows a full range of movement, while also staying in place all the time. It can be easily cleaned and machine washable. Pull it off, throw into the machine and wash after games. The G-Form Pro X2 Elbow Pad also has a 2-panel design which fits like a second skin and a front pad ventilation hole for maximum air circulation. 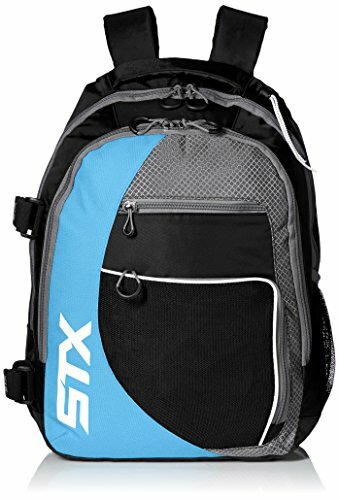 In the world of lacrosse, the STX brand is heavily relied on for top quality, and the STX Lacrosse Cell 4 Mens Lacrosse Elbow Pads is no different. STX produce equipment for both beginner and professional grade lacrosse players. No matter your skill level, you can wear this elbow pad to play. This elbow pad is an excellent choice if you play defense or a goalie. Or if you are just on the market for a lightweight, comfortable, and low profile elbow pad. It also comes with a new Geo-Flex technology, which provides top-notch protection from impacts from a nasty slash. You can confidently defend your area, takes checks in stride and launch a counter from behind during gameplay. 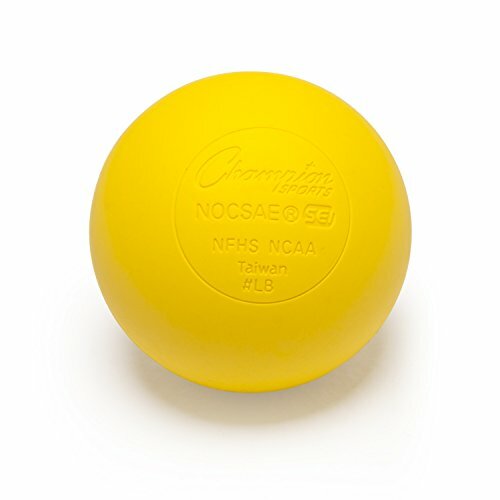 The elbow area is sturdy, firm and comfortable throughout use. It sits firmly on your elbow and will stay without slippage for an extended period. This pad does not use a strap securing system, it is, therefore, lighter and comfortable to wear. Also, there is a compression sleeve which allows breathability and “no frills” wear. And You will love the silicone nubs which is added to guard against slipping. 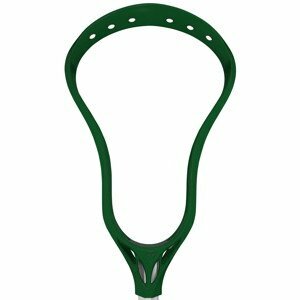 The following are qualities you should look out for from a great lacrosse elbow pad. A lacrosse protective gear should have the perfects fit, be it an elbow pad, rib pad, mouth guard, chest pad or any form of a wearable pad. Sizing is one of the most important criteria you should consider. If it is slightly bigger or smaller, it will jeopardize your chances of being adequately protected. Also, it will be uncomfortable during gameplay. Ensure you carefully study the lacrosse elbow pad sizing chart as well as the sizing of other protective gears. The level of aggressiveness across each play level is different. As you advance through the age groups, the competition becomes fiercer and meaner. Players become bigger and harder, play becomes faster and more aggressive. 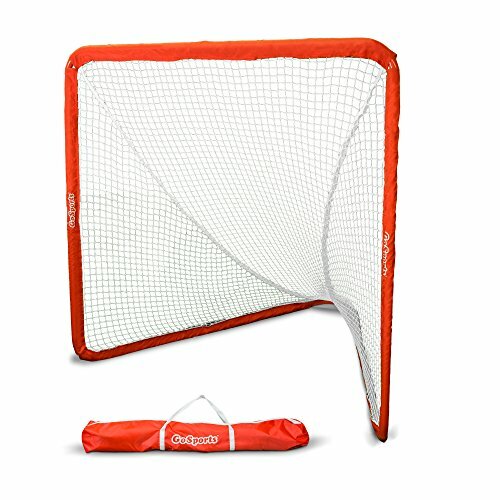 Therefore, you need to wear lacrosse elbow pads that offer adequate protection and conform to regulations, or you risk being injured, sanctioned and ultimately end up on the losing end. Your lacrosse elbow pads and other protective gears are not meant only to protect you from incoming assaults – they are also useful for checking opposing attackers. If you are an aggressive defenseman who coordinate play from the back and always found in the thick of actions, you should wear an elbow pad with quality padding for maximum protection. Some lacrosse elbow pads are cumbersome. 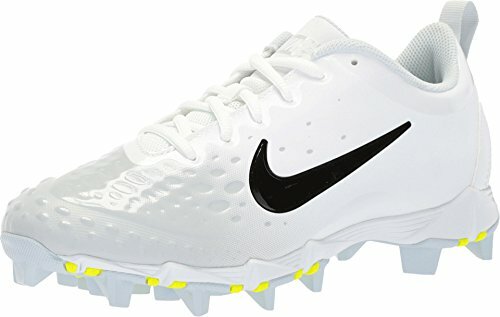 They constitute additional weight which slows players down – also causing a lot of sweat which might be uncomfortable if you play a game in the middle of the summer. This can negatively impact performance. 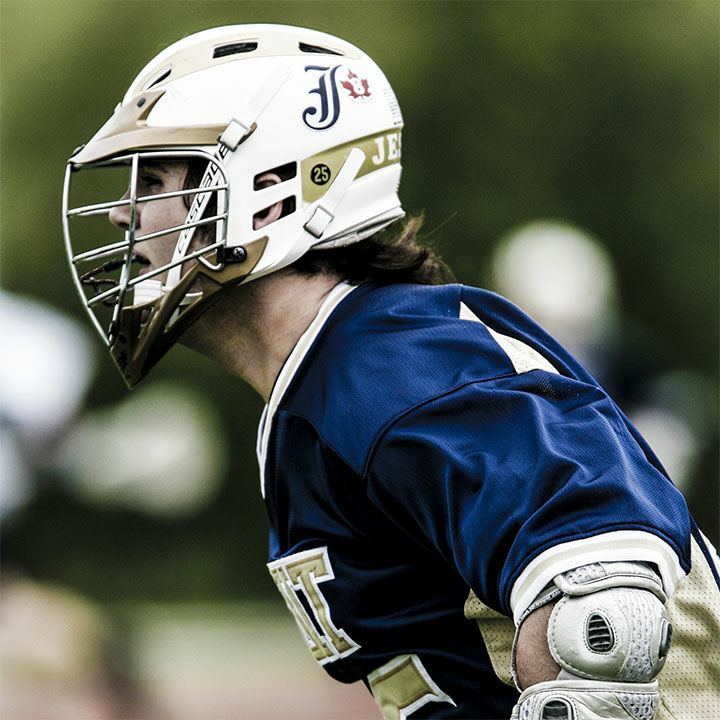 The best lacrosse elbow pads should have specialized designed to absorb or release heat for optimal moisture and thermal control – while providing adequate space for ventilation. Elbow pads are designed with different straps and securing systems. Some elbow pads have Velcro straps while some come with silicone gripper securing system and many more. Most lacrosse elbow pads come with a Velcro strap, which is mostly used in professional lacrosse. 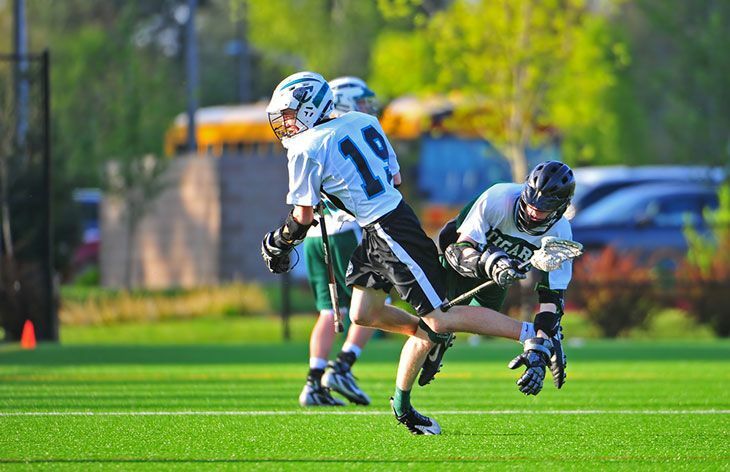 Many defensemen prefer the ease of securing and adjusting on the go. Additionally, Velcro is typically cheaper than other fastening systems, albeit, it can lose its sticking-ability over time. The foam density dictates the amount of stitching required on the elbow pad – this is important as it determines protection, movement, and flexibility. Also, it gives the pad a precise shape and an overall clean and sleek look. A dual density foam, for instance, will offer a higher degree of protection and more maneuverability. Choosing the best lacrosse elbow pad can take your game to the next level – it determines a defender’s mobility, maneuverability, speed, and check-ability. So you need a top quality elbow pad to perform. The best way to go about it is to consider this buying guide and set yourself for success. 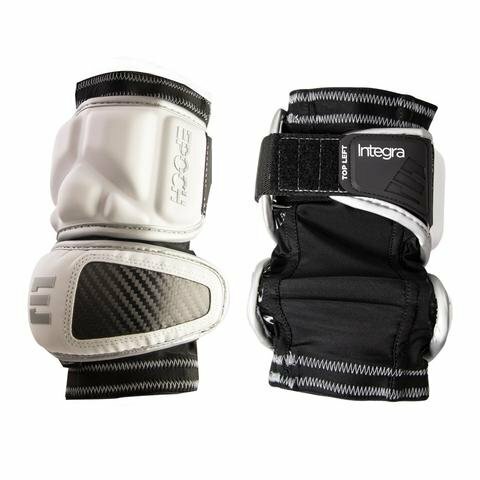 The top-rated lacrosse elbow pad is the Epoch Lacrosse Integra Elbow Caps Defensemen – it is engineered with a phase change technology, a sandwich locking system, carbon fiber material which provides optimal protection as you take beatings. SANDWICH LOCKING SYSTEM - The revolutionary Sandwich Locking System eliminates pad slippage while allowing for a customized fit and added protection. The hard shell cap with carbon fiber reinforcement is designed to give players needed protection without limiting maneuverability. If there is any other elbow pad listed that makes your top rated spot, please indicate in the comment box.